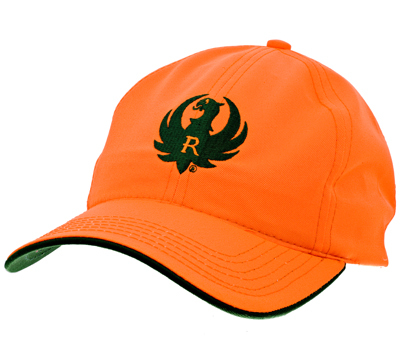 This unstructured, hunter orange cap features an embroidered spruce green Ruger Eagle logo on the front and a spruce green under bill. 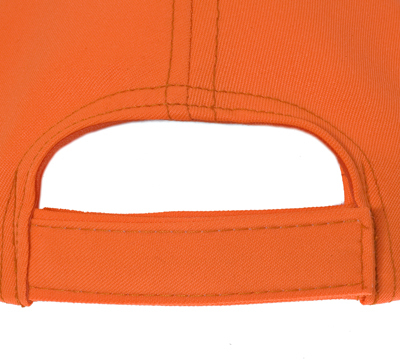 Cap also has a matching, adjustable hook-and-loop back strap. Made in the USA by Graffiti, Inc..
Never wore an orange cap. This could keep a drunk hunter from shooting me in the head. Got this cause I hunt with a ruger .308 scout. Great rugged reliable rifle and the hat just makes the representation all the better!